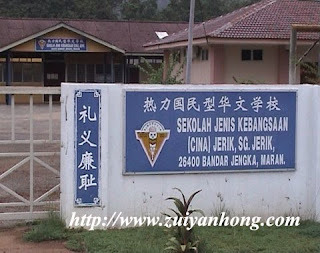 SJKC Jerik is a Chinese primary school in Maran, Pahang. 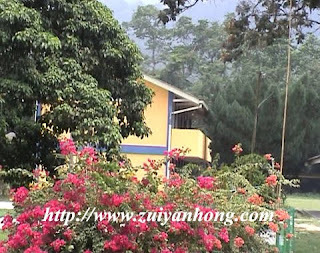 This school is located nearby Sungai Jerik. It's about 1 km from Sungai Jerik old town. 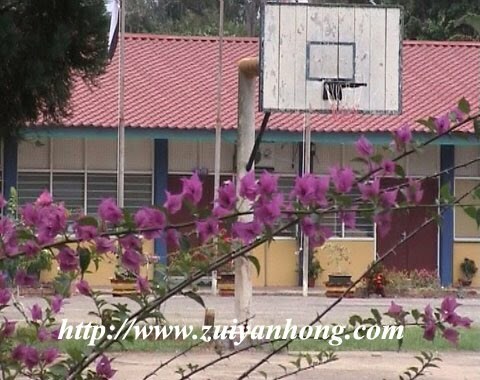 Lubuk Yu recreation centre is not far from Sungai Jerik. The mysterious illness which caused the death of several local residents occurred in Lubuk Yu recreation centre recently. I had served in SJKC Jerik in the early 80s. I was posted to SJKC Jerik after completion of training in Mohd Khalid Teacher Training College in Johor Bahru. I had been in SJKC Jerik for two years. More than 20 years ago, the buildings of SJKC Jerik were very old. Now, a block of 2-storey classroom and a new resource center was constructed. SJKC Jerik was badly damaged in the flood disaster which hit Sungai Jerik at the end of 2007.